Caffeine is a natural stimulant consumed worldwide. Most people get it from coffee, tea, soft drinks, energy drinks or chocolate. Caffeine's main effect is on the brain. It stimulates the brain by blocking the effects of the neurotransmitter adenosine. Caffeine may improve mood, decrease the likelihood of depression, stimulate brain function. Caffeine may boost metabolism and promote fat loss, but these effects are likely to remain small over the long term. Consuming small amounts of caffeine about an hour before exercise are likely to improve exercise performance. Caffeinated beverages like coffee and tea may reduce the risk of heart disease and type 2 diabetes, although this may depend on the individual. Drinking coffee may promote a healthy liver, skin and digestive tract. Too much caffeine may also promote headaches, migraines and high blood pressure in some individuals. caffeine can interact with some medications. 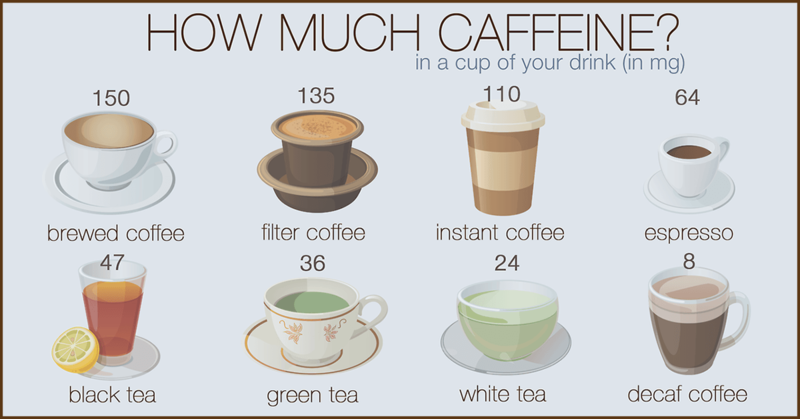 A caffeine intake of 200 mg per dose, and up to 400 mg per day, is generally considered safe. However, pregnant women should limit their daily intake to 200 mg or less.